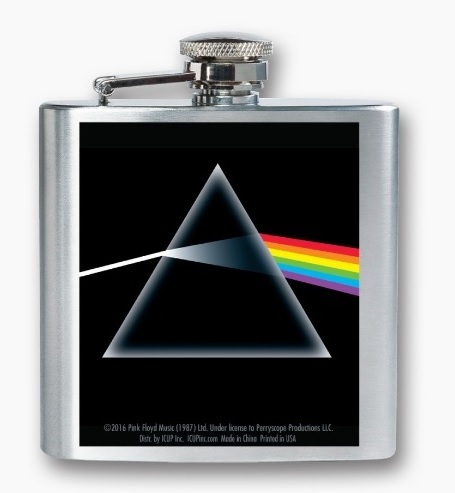 This Pink Floyd flask is the perfect size for a little drink. Perfect for bringing to a concert. It holds 6 oz. of your favorite drink and features the Dark Side of the Moon design on it. Officially licensed Pink Floyd merchandise.